Citation: R.MUTHAIYAN, V.G.RAJARAMYA, A.BILOMIN RAMYA. (2015). Implementation of Wireless Sensor in Coal Mine Safety System. 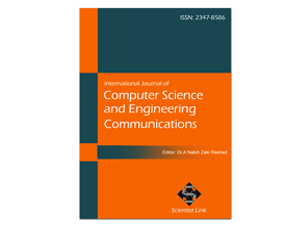 International Journal of Computer Science and Engineering Communications,Vol.3 ,Issue.1,pp.613-620. The foremost critical task for coal mine is of keeping track of miners spread out across a large mining areas .It becomes even difficult when mine tunnels collapse. Many mines use a radio system to track miners, but when a collapse occurs, the base stations connected by a thin wire often are rendered useless. In this project to overcome the demerits of radio system we used wireless technology for tracking the miners. The transceivers communicate with base stations through LIFI module. In addition of tracking the location of miners we also include sensors such as temperature & humidity to intimate the base station & miners when some atmosphere changes occur. Mine operators are now able to monitor the real-time locations of each miner to better pinpoint their locations in the event of an emergency. LiFi is a new paradigm for short range wireless technology to provide unprecedented connectivity within a localized data-centric environment. Li Fi is a transmission of data through illumination, sending data through a red light bulb that varies in intensity faster than human eye can follow. This sort of communication can be called as Visible light communication (VLC). Using this technique, the user can transmit the data through light from one device to another. Li-Fi technology works on a simple digital principle which is nothing but a led is ON a digital data 1 can be transmitted and if it is OFF digital data 0 can be transmitted. So, in this project work we are going to switching the LEDs very quickly. These fast switching can be achieved by PWM technique to transmit digital data stream containing strings. To acquire this, we are programming the microcontroller to vary the duty cycle of the PWM signal which has the task of regulating the current in the LED. The biased current is fed to LED driver unit. The power of LED is varied according to the waveform of data signal. At the receiver side photodiode sensor produces a current proportional to the received instantaneous power. From this data can be filtered and it can be displayed on PC. L. G. Stolarczyk, “Emergency and operational low and medium frequency band communications system for underground mines,” IEEE Trans. Ind. Appl., vol. 27, no. 4, pp. 780–790, Jul./Aug. 1991. L. G. Stolarczyk and H. Bobroski, “Medium frequency vehicular control and communication systems for underground mines,” in Proc. IEEE Veh. Technol. Conf., May 21–23, 1984, pp. 316–321. H. Dobroski, Jr. and L. G. Stolarczyk, “Control and monitoring via medium-frequency techniques and existing mine conductors,” IEEE Trans. Ind. Appl., vol. IA-21, no. 4, pp. 1087–1092, Jul. 1985. M. D’Amore andM. Sabrina, “Simulation model of a dissipative transmission line above a lossy ground for a wide-frequency range—Part I: Single conductor configuration,” IEEE Trans. Electromagn. Compat., vol. 38, no. 2, pp. 127–138, May 1996. D. Hill and J. Wait, “Excitation of monofilar and bifilar modes on a transmission line in a circular tunnel,” J. Appl. Phys., vol. 45, no. 8, pp. 3402–3406, Aug. 1974. J. R. Carson, “Wave propagation in overhead wires with ground return,” Bell Syst. Tech. J., vol. 5, pp. 539–553, 1926. H. K. Sacks and R. L. Chufo, “Medium frequency propagation in coal mines,” in Proc. 4th WVU Conf. Coal Mine Electrotechnol., Morgantown, WV, USA, Aug. 2–4, 1978, pp. 27-1–27-12. P. Degauque, G. Courbet, and M. Heddebaut, “Propagation along a line parallel to the ground surface: Comparison between the exact solution and the quasi-TEM approximation,” IEEE Trans. Electromagn. Compat., vol. EMC-25, no. 4, pp. 422–427, Nov. 1983. A. Agrawal, K. Lee, L. Scott, and H. Fowles, “Experimental characterization of multiconductor transmission lines in the frequency domain,” IEEE Trans. Electromagn. Compat., vol. EMC-21, no. 1, pp. 20–27, Feb. 1979. J. Volakis, Antenna Engineering Handbook., 4th ed. New York, NY,USA: McGraw-Hill, 2007, pp. 51-3–51-43. G. R. K. Shevgaonkar, Transmission Lines and EM Waves. Mumbai, India: Department of Electrical Engineering, IIT, Jan. 8, 2008, ser. On- Line Lecture Series. T. S. Cory, Electromagnetic Propagation in Low Coal Mines at Medium Frequencies, Rep. Collins Commun. Switch. Syst. Div., Commercial Telecomm. Group, Cedar Rapids, IA, USA, Contract No. H0377053.